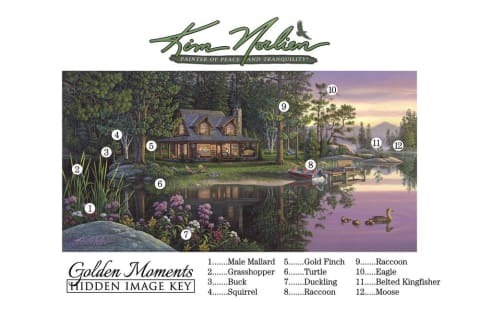 "Golden Moments" was painted in 2003 in honor of Kim Norlien's parents 50th Golden wedding anniversary. Arley & Ruby Norlien are featured in the cabin enjoying a game of cards. We Love You, Dad and Mom!